The wreath motif… has a nice ring to it, wouldn’t ya say? ;) It’s easy to see why this charming design trend is popular. Wreaths are easy to make and fit just about any paper crafting need. 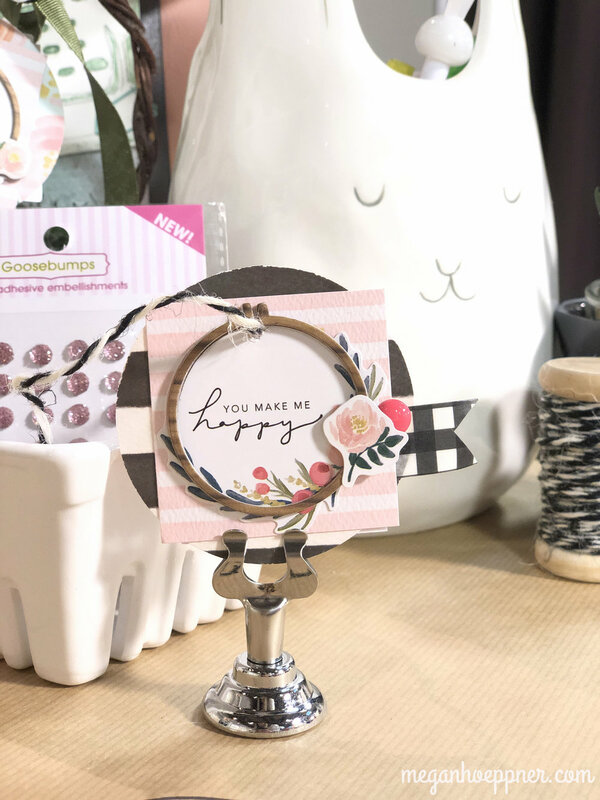 Whether you’re doing a simple doodle or folding felt flowers and gluing them to an embroidery hoop, bitty wreaths are an awesome springtime image to embrace. Today on Studio 5, Brook and I take the wreath from the wall to the cards and paper crafts, sharing several approaches to making a wreath motif. You can watch the segment here. I’m so stoked to be teaching at the ADORABLE new store, Posh Paperie. It’s owned by Sandy Workman, who is also the creative genius behind Pine Needles. Yes, I did say genius. :) She is just THAT cool! 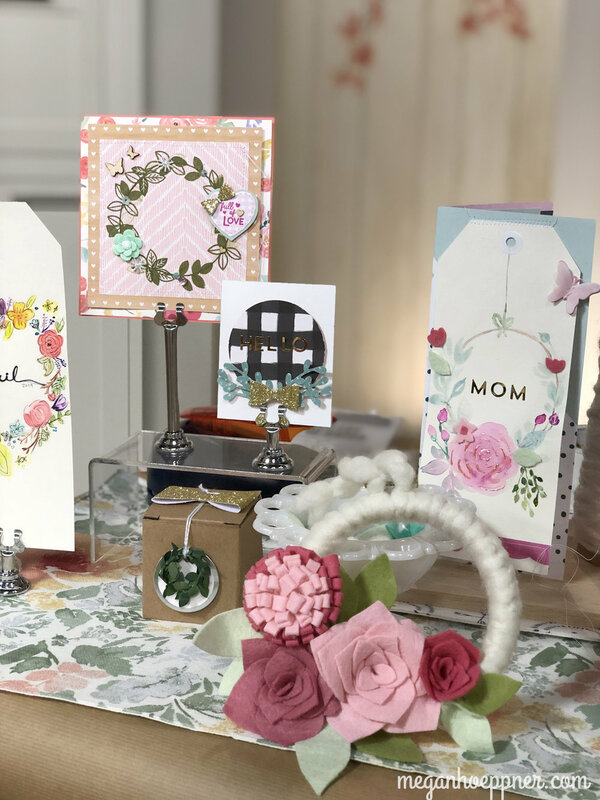 If you haven’t had a chance to stop in and drool over her pretty assortment of papers and crafting supplies, you simply must. And if you happen to stop in while I’m there teaching a class, that’s all the better! :) I have to workshops coming up at Posh Paperie. Let’s enjoy some planner play! Receive a gorgeous Stampin’ Up! 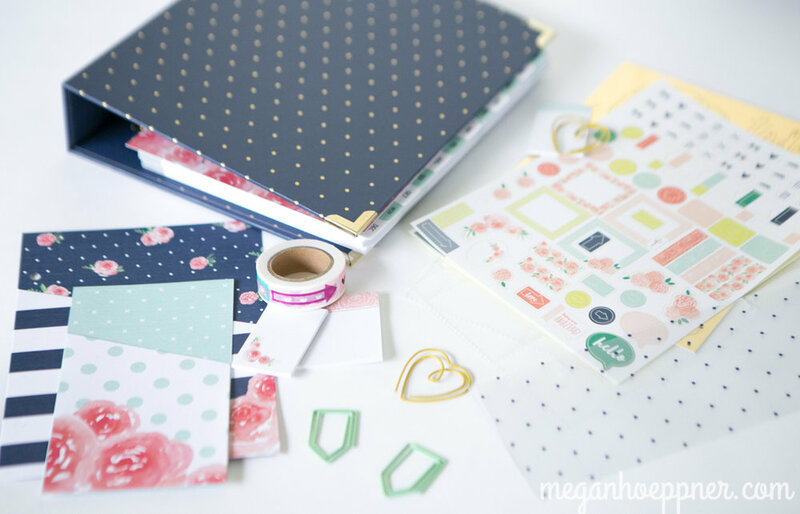 planner, loaded with sweet stickers and fabulous foil accents and other awesome goodies. Together, we’ll learn the basics of creative planning and discover fun tricks for personalizing your planner. See how creative planning is about more than simply organizing your day and tracking your to-dos. It’s about documenting your life as it’s happening and creating a keepsakes you’ll love having! Sign up for my Planner Play workshop here. I think there’s one seat left in this class, but if you really want to come with a friend, I bet we can squeeze you both in. Just email me at meghoeppner.com. Sign up for my Watercolor Joy workshop here. I hope to see you in the classroom soon. In the meantime, thanks for watching me on Studio 5. If you end up creating your own wreath motifs and sharing online, I’d be delighted if you tagged me. I want to see what you’re up to in this world of wreathy treats.